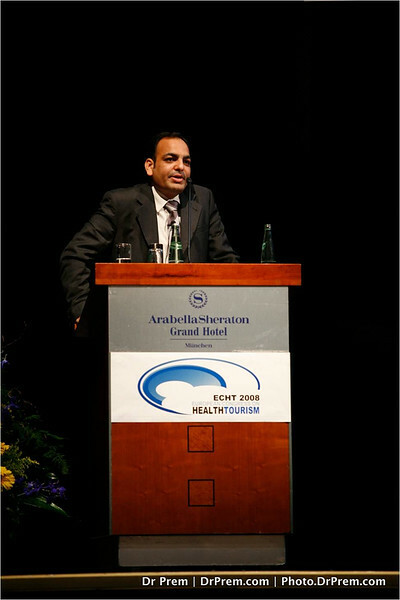 A thoughtful appearing Dr Prem busy at what he does best--presentation and speeches about Health Tourism. This time this is a moment from a meet at Munich in Germany. The look of the snap says that success must have been thunderous.